Running Postgres on EC2? Your Clock Could Be Slowing You Down — A curious tale of a company discovering the EC2 instances running its Postgres cluster were particularly slow at getting the time and this had a performance hit on its Postgres analytics workload. As an interesting aside, one of Heap’s engineers also explained why they use EC2 and not RDS for running Postgres. PostgreSQL 11 Beta 4 Released — You’ll have noticed we’re linking to a lot of great Postgres 11 related stuff (this issue is no exception) and it’s even closer to an eventual release today with the latest beta. If you’re benchmarking, note that JIT compilation is now disabled by default and must be explicitly turned on. Postgres-XL: Horizontally Scalable PostgreSQL — Postgres-XL is a massively parallel processing database - very closely compatible with PostgreSQL, scaling it horizontally. It supports both Business Intelligence workloads & high-volume transactional write & read workloads on the same platform. PostGIS 2.5.0 Released: Spatial and Geographic objects for PostgreSQL — Eagle-eyed readers will have noticed that all the 2.5 betas have been targeted at Postgres 11 and while PostGIS 2.5 is best suited with Postgres 11, it’ll work with Postgres 9.4 and up. Optimizing Postgres Column Order — A rather technical look at some low-level tinkering you can do to order your columns in a memory-efficient way. Postgres 11: Something for Everyone — A nice, high level explanation of some of the new features coming to Postgres 11 - most of which we’ve referenced here over the past few months. Our own Craig Kerstiens also takes a first look at what’s available. Amazon Aurora Now Supports Stopping and Starting of Database Clusters — Aurora (which comes in a Postgres-compatible version) clusters can now be stopped (for up to 7 days) and restarted making it more useful and affordable for development and test purposes. Securing Postgres as an Enterprise-Grade Environment — A brief post that looks at a couple of Postgres features that will improve security. Thoughts on the Code of Conduct Controversy — Reflections on the PostgreSQL community’s need for its recently published ‘Code of Conduct’ and what process should be taken to strike the right balance. pg_terminator: A Tool to Clean up Sessions and Queries — When configured, it can cancel/terminate queries and connections based on a variety of rules. Git repo. 2Q PGConf 2018 — (December 4-5) Chicago A conference dedicated to exchanging PostgreSQL knowledge. PGCONF.ASIA 2018 — Decemeber 10-12 (Tokyo, Japan) PGConf.ASIA 2018 is an international conference for PostgreSQL. 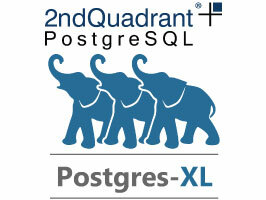 Come and join this one of the largest PostgreSQL conference held in Asia.